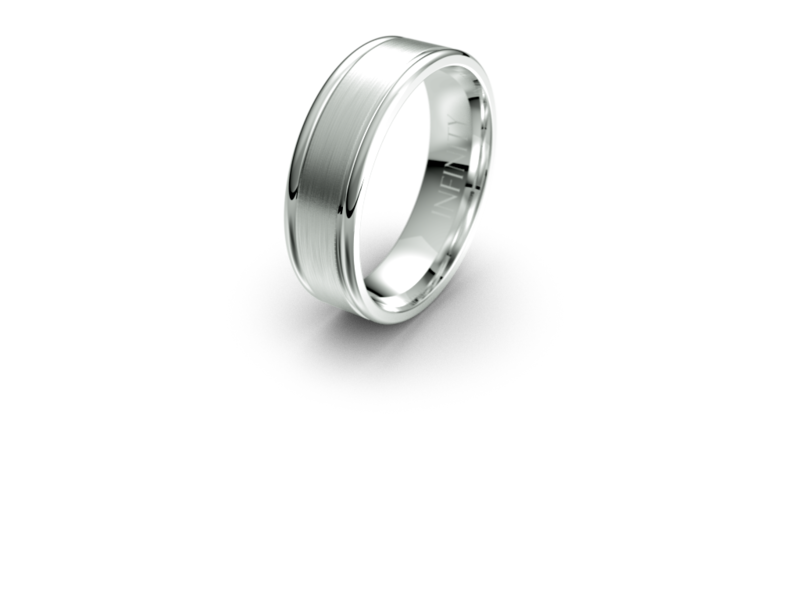 This masculine and elegant band offers beauty and inspiration. 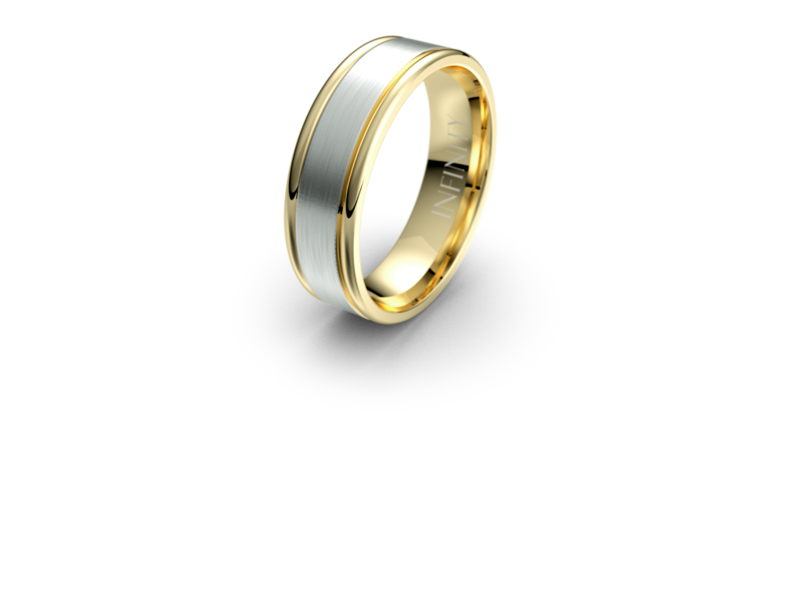 The broad brushed finish inner band is complemented by its smooth polished outer rings. Available in thirteen colour variations.